W4RF - Coventry: 3 years: PhD: Genres Vern. Arist. It. Coventry: 3 years: PhD: Genres Vern. Arist. It. Italian Studies at the University of Warwick is able to offer a 3-year doctoral scholarship for research on Renaissance Aristotelianism in the Italian Vernacular, commencing in or after January 2016, under the supervision of Professor Simon Gilson and Dr David Lines. Between around 1400 and 1650, Europe experienced a phenomenal rise in the number and kinds of works that translated, commented on, or otherwise disseminated the thought of Aristotle. This tradition, which was tied to earlier interpretations through the use of Latin, in Italy and some other countries was also paralleled by a significant effort to use the vernacular as its main medium of communication. In many ways, these interpretations initially looked to Latin (or even Greek) works as stylistic models; it is not clear whether they then became increasingly independent of Latin works, which genres achieved the greatest popularity, and what were the cultural or institutional contexts that favoured the developments that took place. These are the chief aspects that this PhD is meant to explore. Aspects of Renaissance Latin Aristotelianism have been studied in particular by Charles B. Schmitt, Charles H. Lohr, and other scholars. Much less work has been done on Aristotelianism in the vernacular. However, Warwick has built a considerable reputation in this area, first through a project funded by the United Kingdom’s Arts and Humanities Research Council (‘Vernacular Aristotelianism in Renaissance Italy, c. 1400–c. 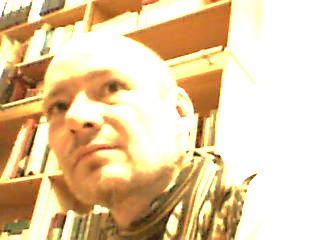 1650’) which ran from 2010 to 2014, and now through an ERC project (‘Aristotle in the Italian Vernacular’, 2014–2019)) based both at Warwick and in Venice, where the PI (Marco Sgarbi) is based. The successful PhD candidate will be able to avail him/herself of the significant wealth of research materials made available by the AHRC-funded project: these include a bibliography of the relevant materials (particularly geared toward the critical literature; see http://warwick.ac.uk/vernaculararistotelianismproject) and a database of relevant primary sources (http://warwick.ac.uk/vernaculararistotelianismdatabase), both manuscript and in print. Both of these can be freely consulted and provide an initial orientation to the relevant sources. Applicants may come from any country; they are expected to hold a First Class or Upper Second Class BA or BSc, a Masters degree in a relevant field (e.g., Italian Studies, Classics, History, Philosophy), and significant familiarity with Italian and Latin (particularly Renaissance texts). They will also need to provide evidence of competence in English (if that is not their mother tongue) and be prepared to provide transcripts and academic certificates. The scholarship will cover fees (paid directly) and a living allowance to the value of £14,057 gross per annum, provided through an employment contract adhering to standard ERC guidelines. Project funds are also available to cover some research travel. Applications should consist of an academic CV, covering letter, and reference letters (coming directly) from two referees who know the candidate’s academic abilities well, and should be emailed to Caroline.Parker@warwick.ac.uk by 15th October 2015. In addition, applications should include a description (up to 1500 words plus indicative bibliography) of how the dissertation project would be designed, the methodology and sources it would use, how it would make a contribution to scholarship, and the proposed timescales. For further information, please contact: Professor Simon Gilson, Italian Studies, University of Warwick, Coventry CV4 7AL, email: s.gilson@warwick.ac.uk or Dr David Lines, Italian Studies, email: d.a.lines@warwick.ac.uk.